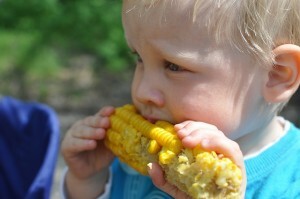 Expat Family Health » Should you force food on your children? Should you force food on your children? “Eat your vegetables or you can’t leave the table!” Every parent around the world has probably heard themselves say these words to their kids. How exhausting to get them to eat a healthy meal! But should you be forcing them to eat what they don’t like? It seems as though a child might eat anything you set in front of them until they are able to speak and express their opinion about what they are eating. And forcing them to eat things they obviously dislike will just make them hate that specific food more and more. Part of raising your children is to avoid picky eaters in the future. Most parents want their children to be happy, healthy eaters, and there are ways of getting them to eat their vegetables without being the kind of parent that forces them to do so. When faced with a fussy eater, there are certain ways to approach them without having to force or trick them into eating something they don’t want. Remember that children are used to milk and puréed food, so when you start feeding them solid, tasteful foods, they might reject them. First things first – be nice to your child! While many children might refuse to eat vegetables because it seems to be the norm, there might be things that are actually distasteful to their taste buds. Don’t force feed – anything that is forced won’t stick and your child will always remember it bitterly. Don’t try to disguise food – they will eventually find out what it is and dislike it more. Simplicity allows children to identify what they are eating and hence making it more likely for them to go for it. Play with texture, smell and sight – colourful food with distinct and new textures should be exciting for your children. Don’t forget to be the fun parent! If your child sees a smiley face, teddy bear or cartoon, they are more likely to eat it. Don’t worry about repeating foods constantly – children love eating things they already know they like. It takes times for taste buds to get used to a flavour or to finally decide whether they can deal with a certain taste or not. If you’ve fed sprouts to your child many times and they are still refusing it, it might actually mean they really don’t like it. So instead of sprouts, try other vegetables and watch your child enjoy the meal.